This letter, from U.S. Secretary of State Cordell Hull to Senator. 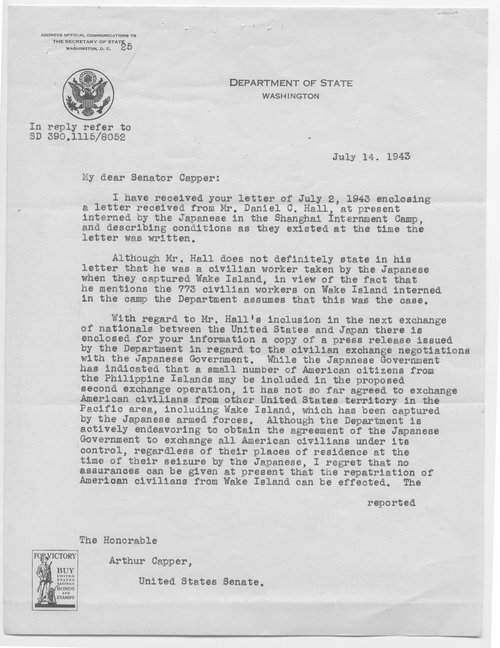 Arthur Capper of Kansas, concerns the status of U.S. civilian internees held by the Japanese. Captured following the Japan attack on Wake Island, nearly 800 U.S. citizens were placed in internment camps alongside Allied prisoners of war.